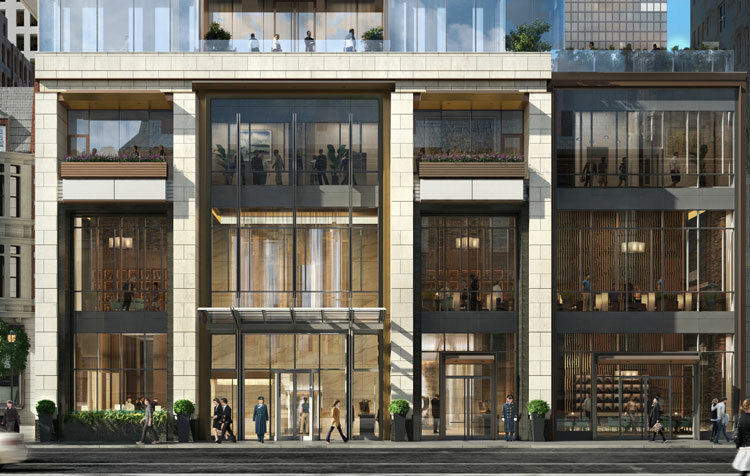 Philadelphia — The Harman Group (THG), a firm specializing in structural engineering and parking planning and design, announced the groundbreaking of The Laurel, an ultra-luxury residential development located at 1911 Walnut Street in Philadelphia. At 48 stories, The Laurel will be the tallest residential building on the last undeveloped parcel on Rittenhouse Square. The Harman Group is providing structural engineering services for the development, which is being developed by Southern Land Company and designed by Solomon Cordwell Buenz (SCB). The $300 million, ultra-luxury mixed use tower will include 74 condominiums in addition to long- and short-term residences with separate lobbies and entrances. The Laurel will also feature 24,000 square feet of high-end retail that wraps around Walnut, Sansom, and 20th Streets. Tim Downey, CEO and Founder of Southern Land Company, Mayor Jim Kenney, Darrell L. Clarke, Philadelphia City Council President, Anne Fadullon, Director, Philadelphia Department of Planning and Development and Clara Wineberg, AIA, Principal, Solomon Cordwell Buenz gave remarks before the official groundbreaking ceremony was held at the site on September 13. Construction is beginning ahead of schedule this fall.